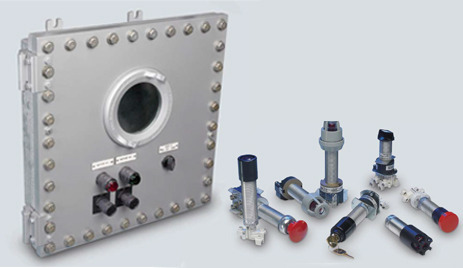 EJB Series Explosionproof Custom Built Control Panels are built to customer-specific needs, allowing for the grouping of control devices for process control in minimum space requirements. Available in a variety of sizes with an unlimited combination of devices, windows, and markings, these panels are designed to maximize the efficiency of each unique process. Download the EJB Series Explosionproof Custom Built Control Panels spec sheet below or call 714.835.6211 for more information.